Da kannst du Dir als Koch noch so viel Mühe geben … Wenn der Sandmann zuschlägt, hast du keine Chance! Fastfood-Animationsfilm „Hambuster“ – nix für schwache Nerven! Nix für schwache Nerven und auch nix für Feinschmecker. Der Film beginnt zunächst recht süß, entwickelt sich aber schnell zum Fastfood-Splatter. Das Schauen macht richtig Spass. Das Ganze ist eine Abschlussarbeit der Filmstudenten Paul Alexandre, Maxime Cazaux, Dara Cazamea, Romain Delaunay und Bruno Ortolland. 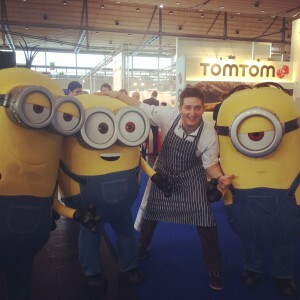 http://christiansenff.de/wp-content/uploads/2015/02/fastfood-animationsfilm-hambuste.jpg 720 1280 Christian http://christiansenff.de/wp-content/uploads/2017/01/logoneu2017-180x180.png Christian2015-02-21 18:18:572015-03-20 12:59:54Fastfood-Animationsfilm "Hambuster" - nix für schwache Nerven! These food maps created by Caitlin Levin and Henry Hargreaves originally were inspired by a passion for travel. Exploring new places through the food you eat is often a portal to the cultural complexities of that place. In this series we have taken many of the iconic foods of countries and continents and turned them into physical maps. While we know that tomatoes originally came from the Andes in South America, Italy has become the tomato king. These maps show how food has traveled the globe – transforming and becoming a part of the cultural identity of that place. Who doesn’t know the saying „throw some shrimp on the barbie“ and not think of Australia? Who goes to France without eating bread and cheese? And who makes a Brazilian caipirinha without a fistful of limes? These maps are a playful representation of our interpretation of food from around the world, painstakingly created with real unadulterated food. This project speaks to the universality of how food unites people, brings us together and starts conversation – just as we hope these beautiful maps will do too. 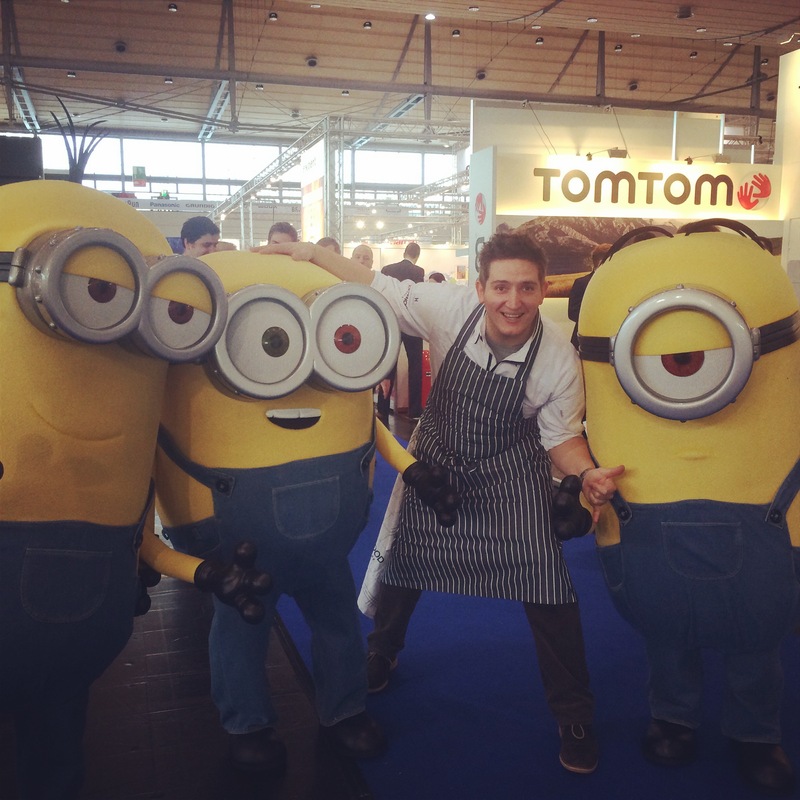 Die Minions zu besuch bei mir am Stand von De´Longhi, Kenwood und Braun Deutschland.